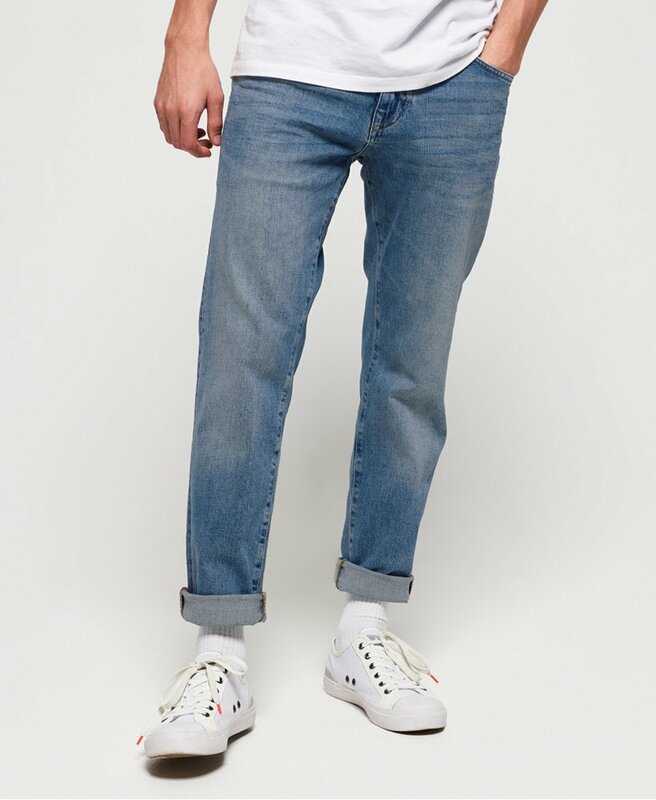 Superdry men’s Daman straight jeans. Invest in our timeless Daman jeans this season to create your signature denim style. These Daman jeans feature zip fly fastening, a classic five pocket design and belt loops. The Daman range have been crafted with comfort stretch fabric making them perfect for the everyday. For the finishing touch, these jeans have been completed with a leather logo patch on the rear of the waistband and an embroidered version of the iconic Superdry logo on the coin pocket. Wear with your favourite oversized tee, bomber jacket and boots for an on-trend look this season.